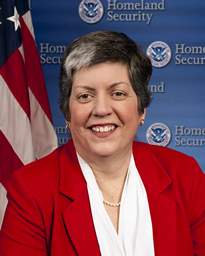 Homeland Security Chief Janet Napolitano echoed what has been said pretty much all along: Suicide pilot Joseph Stack, 53, who crashed his plane into the IRS building in Austin last month was not a domestic terrorist but simply someone carrying out a personal agenda. Napolitano made those remarks Tuesday in a radio interview on WAMU-FM’s “Diane Rehm Show”, according to a report in the Washington Post. Posted: 3/10/10 at 8:20 AM under News Story.